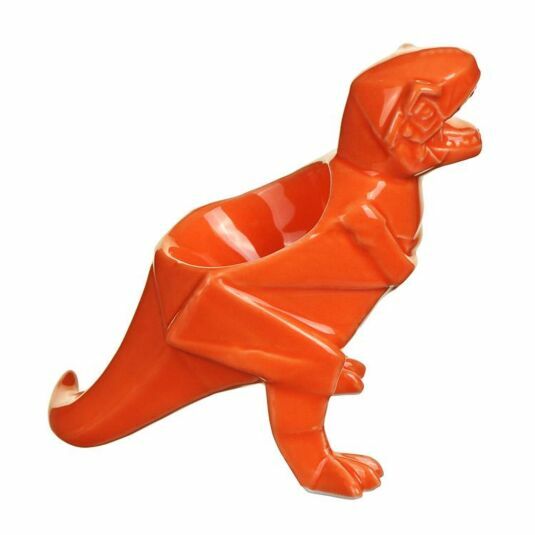 This vibrant and quirky porcelain egg cup is great fun at breakfast, with a design that features the tyrant lizard Tyrannosaurus Rex, the king of a time when dinosaurs ruled the planet! 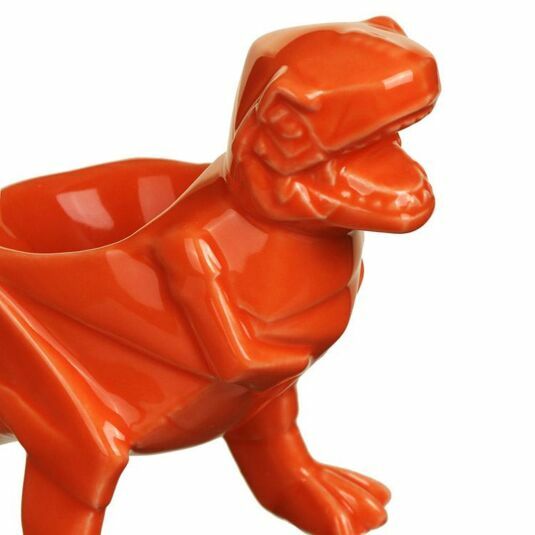 The cup is orange in colour and combines clean cut lines and cubist shapes to create a classic Tyrannosaurus Rex movie dinosaur, standing tall on his hind legs and roaring. 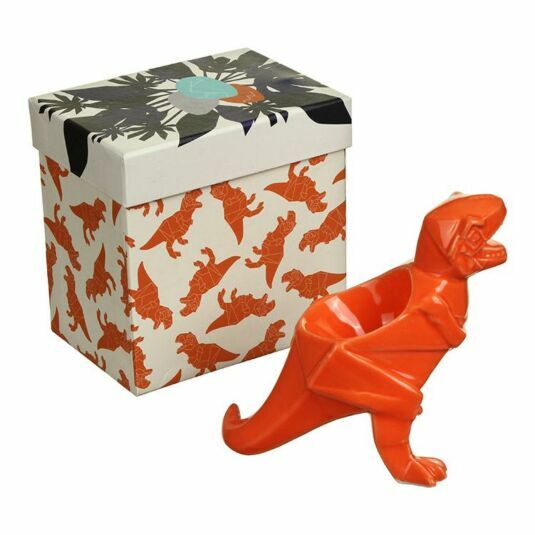 Featuring a stylish presentation gift box, this unique egg cup would make a great birthday or Christmas gift for both children and adults with a fascination for all things Jurassic!